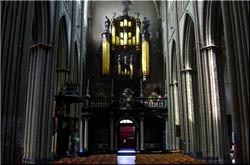 PILAR CABRERA - Organ Concert at Bruges Cathedral. in the celebration 50 Years Bruges Cathedral Concerts. Unauthorized copying, public performance and broadcasting of this music prohibited.